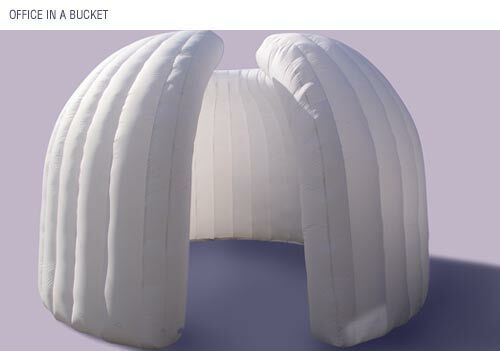 OIAB is a portable inflatable office/meeting room. There is no complicated door system to attach–the structure simply pulls open to allow people inside while a clip fastening closure provides added privacy, when needed. OIAB comes in two standard sizes, which can be supplied approximately three to four weeks from order time, depending on the quantity required.